Sailor Mercury / k-BOSE. Von k-BOSE on DeviantArt.. HD Wallpaper and background images in the Sailor Mercury club tagged: sailor mercury sailor moon ami mizuno. 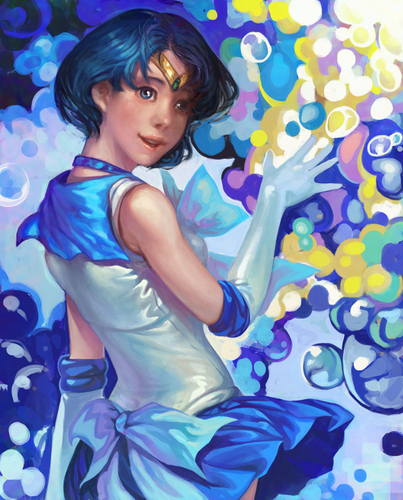 This Sailor Mercury fan art might contain duschvorhang.